Grab a cheap getaway with this great deal over at Wowcher which includes flights, hotel and plenty of extra options such as Blue City Trip. 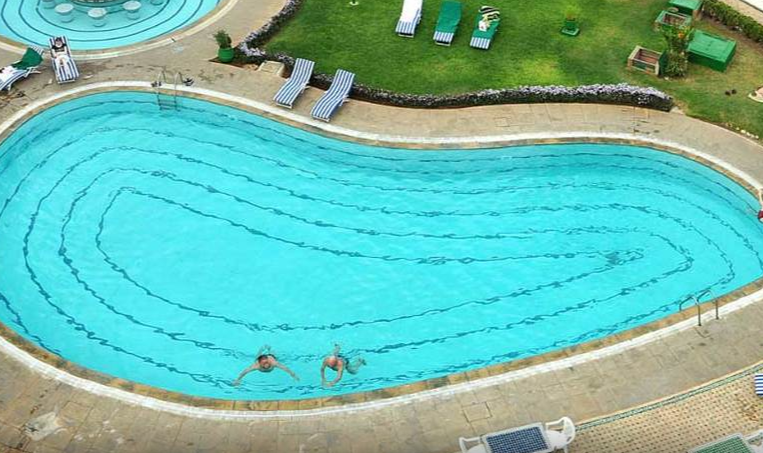 What’s included: A three, four or seven-night 4* stay with breakfast and return flights. Departure airports: London Stansted or Gatwick. Hotel: Stay at the 4* Menzeh Zalagh Hotel. 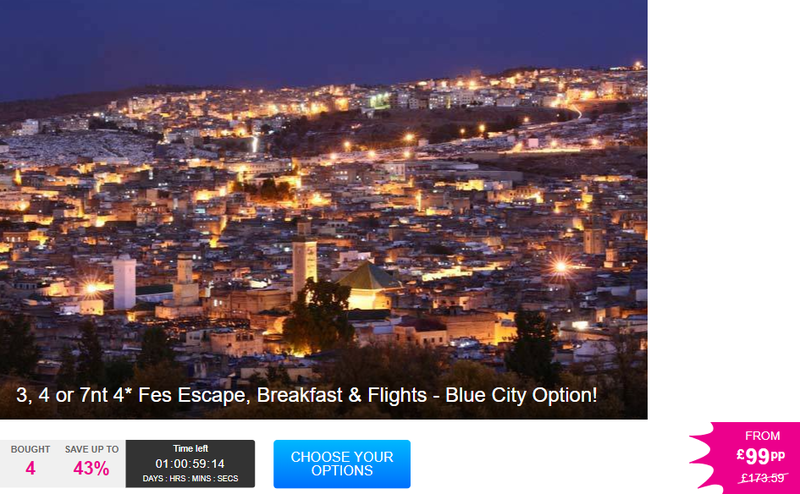 Optional tour: Upgrade to include a tour to Chefchaouen, the so called ‘Blue City’ from £40pp. When: Valid for stays until 28th Oct 2018. After jetting off from London Stansted or Gatwick you’ll arrive in Fez and stay at the Menzeh Zalagh Hotel for an authentically Moroccan experience. Soak up and enjoy the beautiful moorish interiors, rich colour schemes and and chill along the poolside as you bask in the Moroccan sunshine. It’s a tranquil escape 2.5km away from the hustle and bustle that envelopes the heart of Fez’s medina. You’ll stay in a gorgeous double room or twin room, decorated in the same style as the rest of the hotel with deep-coloured fabrics, large windows framing the views and all the best in contemporary furnishings and fittings. Each morning of your stay, tuck into a delightful buffet breakfast – the perfect start to a day exploring the city. The city of Fez is home to the oldest university in the world and its central medina has been given UNESCO World Heritage Site status, highlighting its historic importance. Wander through the narrow streets of the medina, experiencing an aspect of Moroccan life that has changed very little over the course of history, sample the exotic spices, peruse the beautiful pottery and fabulous fabrics and barter and buy to your heart’s content. There are also many other fantastic sights to visit such as Kairaouine Mosque and University or why not head up high above the city to the Borj Nord? It’s a brilliant viewpoint which affords any lucky visitor stunning panoramic vistas of the city. Don’t forget to sample some fabulous Moroccan cuisine and of course the delightful and refreshing tea that is so part of the culture of this African country. 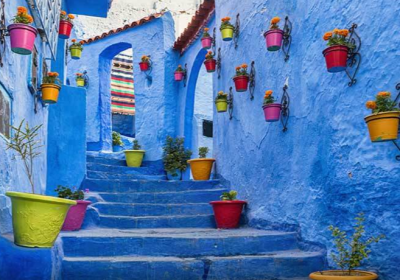 If you feel like getting out of the city why not go on a tour to Chefchaouen (£40pp), the famous blue town in the Rif mountains? You’ll have five hours in the fascinating place, a town famous for its blue and white washed buildings, to amble through the streets and explore the myriad of local shops and cafés, plus the main square is an impressive sight. It’s quite simply a place that you won’t forget in a hurry!